In a recent interview with Gamespot, Nintendo’s Shigeru Miyamoto discussed the upcoming Pikmin sequel and why it’s taking so long to reach our eager sweating palms. Miyamoto explains that with Pikmin 3 they will be recognising the series’ roots and delving into why the games are so good. In the case of Pikmin 3, we’ve taken an approach with that game where we really want to take what made the original Pikmin game unique and really simply go deeper with that experience. Miyamoto is also making sure that it will also feel like a unique experience by exploiting what Nintendo’s newest home console has to offer. By taking advantage of the gyro functionality, we feel that we’ve managed to give the player a much easier route to achieving the things they want to achieve in the game through that control interface […] One of the biggest features of Pikmin 3 is the fact that you have the map on the GamePad at all times and because Pikmin is a strategy game, it’s the type of game that you might play the same levels over and over again. Having that map–and the fact that you have the three different leaders that you switch between to command your Pikmin–and having the touchscreen on the map will allow you to change perspective or jump to a specific leader and quickly give orders. It makes it much more efficient for you to achieve the goals that you have strategically within the game. It’s all in an effort to make a game that takes advantage of the Wii U’s capabilities in order to make itself better, rather than to just show off the hardware. I guess if you were to look at it more broadly, you might not necessarily say that it would be impossible to do it on another system. But I guess speaking plainly, the idea is really that Wii U is the best system to be able to achieve all of the different things that we’re trying to do. 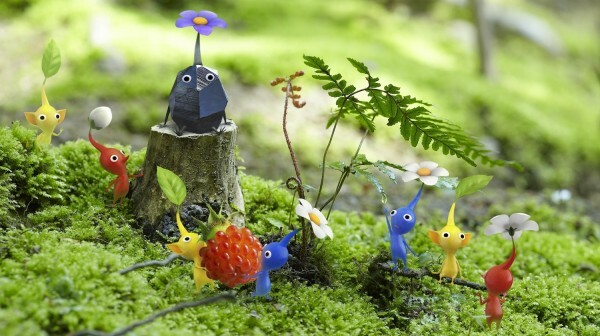 It sounds like the delays to Pikmin 3 might just be worth it, we will just have to wait and see.